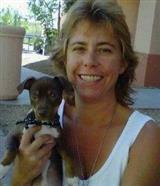 Sandra Gaumond is a real estate agent in Kingman, AZ since 2006. Originally from Rhode Island me and my family moved to Kingman, AZ in 1983 to enjoy a milder climate. Kingman AZ is a great place to live with lots of out door activities and small town atmosphere. There are many local events planned throughout the year in Kingman to keep its visitors and local folks entertained all year. Kingman is the county seat and heart of the historic Route 66. Because of the location and elevation of Kingman the weather does not get too cold in the winter and the summer's not too hot. If you are looking to buy a home in Kingman AZ and need a Real Estate Agent look no further! Search for homes in the Kingman, AZ area on my website with no obligation. When you are ready to start looking give me a call or email me. If you are interested in selling let me know and I will send you a free Comparative Market Analysis and we can get to together for a more comprehensive look at your home. Search for homes in Kingman, AZ. Welcome to Sandra Gaumond’s Kingman Arizona Real Estate Website! I am Happy you are here. I take pride in providing you the best possible service, as well as the latest cutting edge tools, to make all your real estate transactions as smooth as possible. Whether you are buying or selling, you have come to the right place. Bookmark my site, or give me a call at 928-530-4072. Search for Homes in Kingman, AZ all you want there is no obligation and I will not ask for you contact information unless you wish to provide it.